Date: Still 13/07/10. Got in bed with an extremely warm electric blanket, got a block of chocolate and watched this. 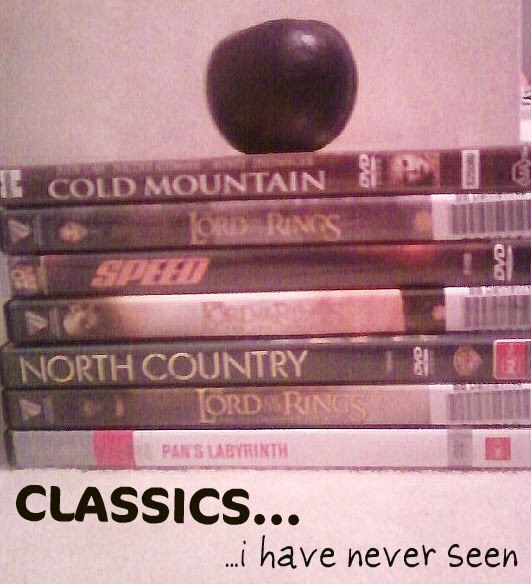 So glad I can now say I have watched all of The Lord of the Rings. Soooooo, The Lord of the Rings: The Return of the King. I remember the day this premiered in New Zealand, which came to be on of the biggest days in our recent history. Epic? I think so. Now I see why they think this is one of the best movies ever made. The former Fellowship of the Ring have come so far, and are prepared for battle against the evil Orcs of Mordor and Sauron. 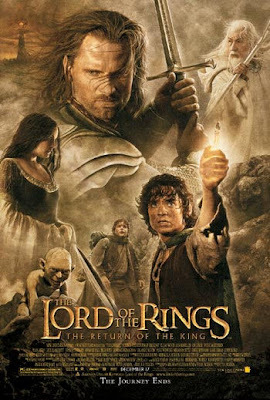 However, Frodo (Elijah Wood) and Sam (Sean Astin), continue their journey to Mount Doom to get rid of the One Ring. But they are unaware of where Gollum (Andy Serkis) is taking them, and ultimately where their journey will bring them to. This is definitely the best out of the series, if not one of the best movies ever made. I know I say that about a lot of movies, but this is amazing. Truly amazing. It makes most movies look tiny as it stands, grand and tall, while they sit in it's shadow. Why? It's the definition of epic in every sense. From its beginning to its end, it is visually and emotionally captivating, even if it runs for over three hours. This comes down to a number of things; a number of things which I don't care to list because its easier if you just see it for yourself. Again, I have to comment on the amazing scenery which New Zealand provides for it. And the amazing directorial work from Peter Jackson, who really can't do much better than this. Top that with some amazing performances from its incredible cast. What you have is a very deserving Oscar winner, but even those kind of accolades don't sum up how great this movie is. Epic in every sense, a thrilling end to a trilogy which will go down in history as one of the best things ever captured on film.